Come and spend St Patrick's day with us drinking a bevvy or two (cash bar + non-alcoholic available) and racking your brain to answer some serious trivia questions to win prizes while enjoying a complimentary platter included in your ticket price. 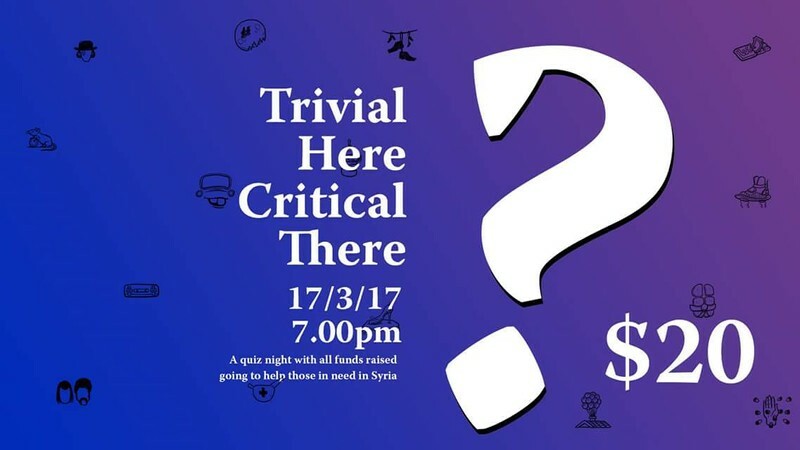 There's no better way to spend an evening, than how you normally would, but with the added bonus that all the funds you're dropping are going to support the critical work happening with the refugees in Syria. Go on, get some mates together or just show up on the night and join a team. It's just a fun night here, but it's changing lives there. Cost includes a platter for you and your team.